This morning I read an article in Mountain West News about “The Disappearing West” study. It begins: “Every 2.5 minutes, the American West loses a football field worth of natural area to human development. And nearly half of all rivers in the West have been altered by human activities.” The in-depth study, commissioned by the Center for American Progress, lays out some shocking statistics about the waterways supporting life in the West: “Once known for their dynamic character, 21 percent of rivers in the West no longer flow freely and a total of 140,000 river miles, or a distance long enough to circle the Earth nearly six times, have been altered by human uses.” It’s an impressive thought. 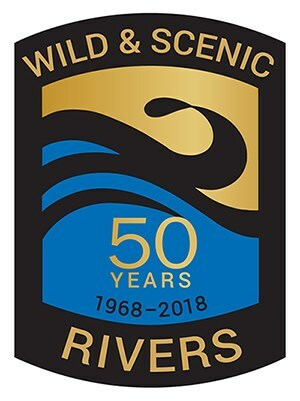 This year marks the 50th anniversary of the Wild and Scenic Rivers Act. This piece of legislation was created so select rivers that “possess outstandingly remarkable scenic, recreational, geologic, fish and wildlife, historic, cultural or other similar values, shall be preserved in free-flowing condition, and that they and their immediate environments shall be protected for the benefit and enjoyment of present and future generations.” It is now responsible for protecting 12,734 miles of river in 40 states, less than ¼ of 1% of United States’ rivers. There’s still a lot of work to be done. As a nod to the 50th anniversary of the Wild and Scenic Rivers Act and as a call for the work left to do, we’ve decided to dedicate this issue to Rivers. Submissions are now open, and we’re looking for the best of your work celebrating, mourning, studying, inhabiting, and protecting the rivers and watersheds in the West. As always, we’re looking for work (fiction, nonfiction, art, and photography) that illuminates the many faces of the West: nature, culture, art, and history. We look forward to reading and viewing your work.